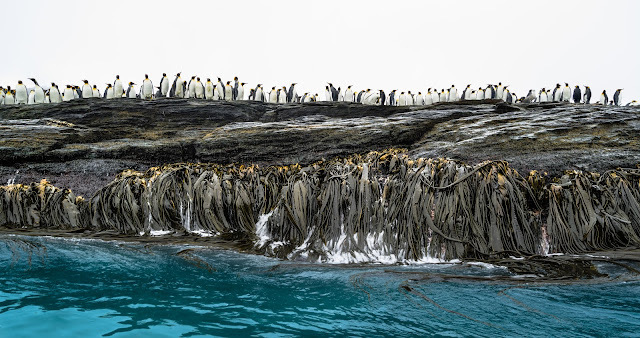 Kelp and Penguins - Leica S007, 32mm, f/8, 1/90s, ISO 100. It was starting to drizzle a little that morning at the end of our landing at St. Andrew’s Bay, but rather than just take the zodiac directly back to the ship we went looking to see if we could find a Leopard Seal. 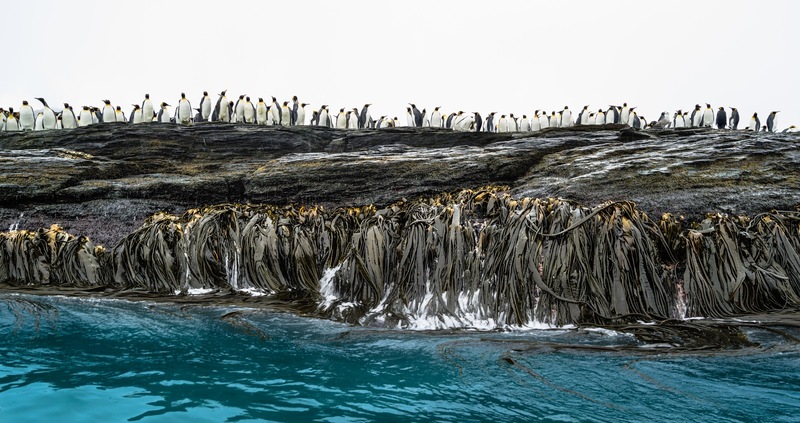 We were ultimately successful, but before then I saw this image screaming to be made with the layers of white sky, King Penguins, rock and kelp.